Rediscover many favourite fragrance and cosmetic brands under the Mayfair Perfumes name. Since 2004 Mayfair Perfumes has made available a long-established portfolio of famous name scents and cosmetics continuing the tradition of upholding standards of excellence and quality products to a global marketplace. Find modern classics, timeless favourites and well-loved brands that continue to be best-sellers. An exciting new online offering and multiple retail outlets offer the broadest range of scents from Marc Jacobs to Burberry, international celebrities and niche perfumers such as Miller Harris and Annick Goutal as well as exclusive brands such as Lanvin and Caron. Stylishly presented and easy to navigate, Fragrance Expert typifies the innovative philosophy and commitment to customer service that runs throughout Shaneel Enterprises. Founded in 2002, Designer Parfums has firmly established itself as creative and innovative force in the fine fragrance market. A custodian of historic brands and a driving force in the premium luxury, entertainment and accessible lifestyle arena. Designer Parfums unique portfolio includes some of the most coveted names in fragrance: Jean Patou, Worth, GHOST, Aigner Parfums, Jean-Louis Scherrer and WORTH. Worth was one of the first couture houses to extend its name to luxury perfume. In 1924 Les Parfums Worth launched its first fragrance, Dans La Nuit as part of a fragrant five part love poem which included the legendary scent and Je Reviens launched between the wars in 1932. It encapsulates the romance and elegance of Paris and became a timeless classic transcending styles and trends. With a very weak concentration of fragrance, around 3-5%, Eau de Cologne is now a less popular fragrance format. Aftershave splash products are technically eau de colognes, with a comparatively similar concentration of fragrance. Otherwise known as EDP, this contains a fragrance concentration of around 10-20%. This concentration is formulated for a richer, more enduring scent than an EDT, at a more accessible price than the Parfum. Otherwise known as EDT, this refers to a fragrance concentration of around 15% and is the most popular strength of fragrance available. This concentration only lasts for around 3 hours. These refer to the ingredients or combinations of ingredients that make up a fragrance. For example, a fragrance may be described as having ‘floral top notes’ or simply ‘a top note of lavender’. A flirtatious, elegant and ethereal new fragrance, GHOST Moonlight captures the true spirit of this iconic British brand. Whether for day or evening, GHOST Moonlight epitomises femininity for modern, young women with individuality and style. A floral oriental scent with a rich gourmand base in a delicate bottle etched with a floral motif across its sculptured form as it shades from darkness to light. 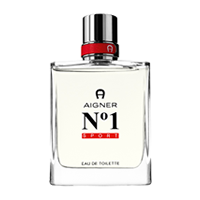 An all new and refreshing Sport fragrance that captures the desirability and character of Aigner N˚1 Lighter and fresher than the original but still powerful and energetic - Aigner N˚1 Sport embodies strength, confidence and masculinity. Sharp vibrant top notes of citrus fruits are infused with Cardamom accords. At its heart sits a freshness highlighted by Mint, Apple and Oak Moss. The fragrance is completed by powerful and confident wood tones with Black Musk, Patchouli , Leather and Guaiac Wood. Aigner Début is a scent that whilst refreshingly modern, evokes a timeless classic twist that brings a new dimension of luxury for those that appreciate elegance and beauty. 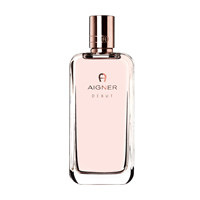 Aigner Début is a floral oriental scent with top notes of Bergamot, Petigrain, Green Apple and Yuzu. These flow gracefully into shades of Orange Flower, Jasmine and Water Lilly. The final movement culminates with Cedarwood, Patchouli, Oakmoss, Vanilla and White Musk. A new chapter in the legendary story that is JOY by JEAN PATOU. JOY FOREVER is a stunning new floral perfume for today’s discerning woman. Full of the finest ingredients of the original JOY but re-worked for the 21st century. 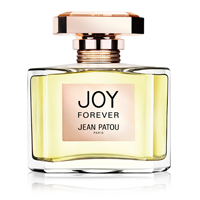 Capturing the essence of Paris and true to the ethos of JEAN PATOU himself, JOY FOREVER is a vibrant, feel good scent that is bright, light and overflowing with youthful spirit. 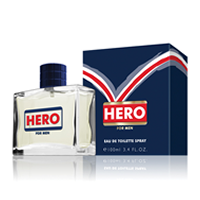 A new masculine fragrance for the dynamic man of today, HERO echoes an attitude to life with an unmistakably challenging combination of bold scents. A Fougere-Classic, HERO has bold top notes of fresh Citrus. At its heart sits sultry notes of Vetiver and its base of Moss and Sandalwood form a spicy warm undertone. The successful candidate will be a highly organised and a good communicator who can work independently or within a team. 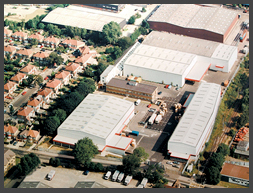 The duties include liaising with existing customer base, processing of orders and checking of invoices, arranging logistics with the warehouse. Previous experience in customer services would be added advantage. Clear telephone voice, good communication and MS Office skills a must. If your interested, please get in touch via our contact page. 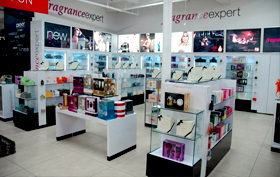 The Shaneel Group are a family owned business specialising in all aspects of the fragrance industry. With head offices in the UK, we manufacture, retail, market and distribute (both on and offline) a wide range of fragrances. Our corporate culture encourages excellence in everything we do, which includes delivering quality and success to all our partners. With our teams operating in a family run work environment, we reward initiative and good business sense. At Shaneel we embrace the future, celebrate ambition and inspire confidence.